For those who work out regularly, constant traveling can throw a wrench into their routine. 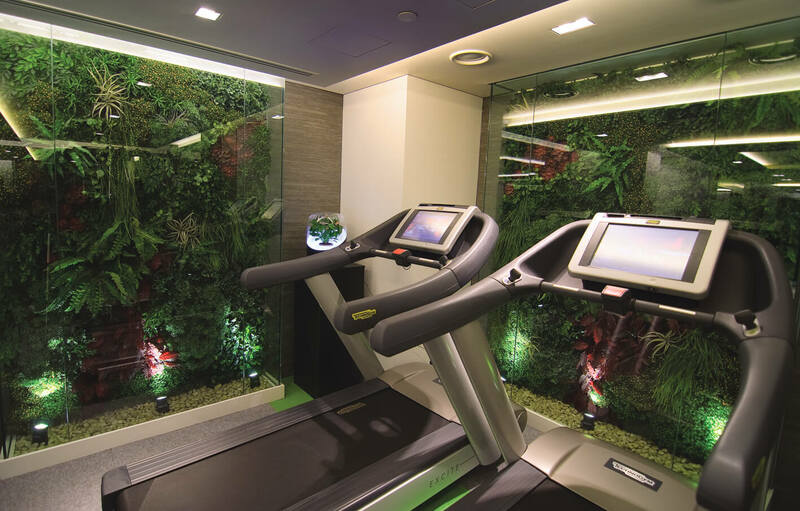 Sofitel were ‘ahead of the game’ in identifying the need for a serious dedicated fitness offer within their Hotels which answer travelers’ growing need to seamlessly maintain the healthy lifestyle they live when they’re not on the road. 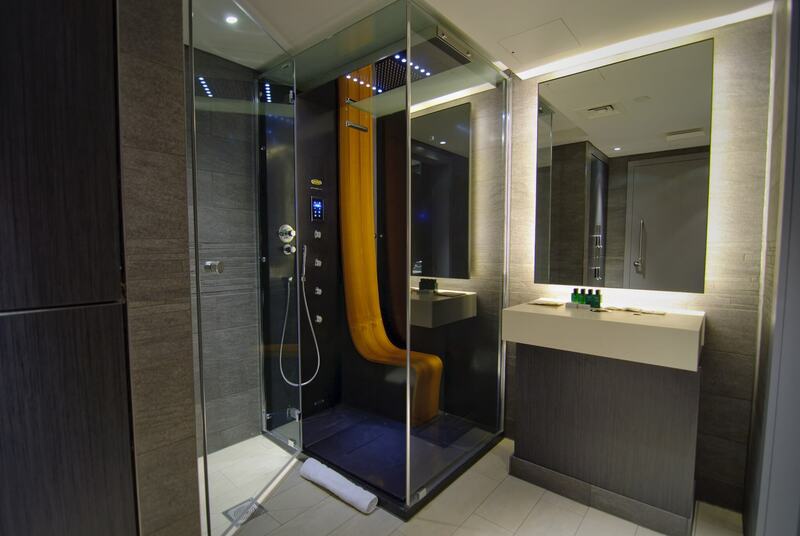 Located in the main Hotel mezzanine area, this luxurious facility was designed complete to to complement the So SPA offer which was also designed by Sparcstudio. So fit was consciously located away from the spa, allowing for 24 hour access for hotel guests ( an important factor given the 24 hour needs of some international travellers). 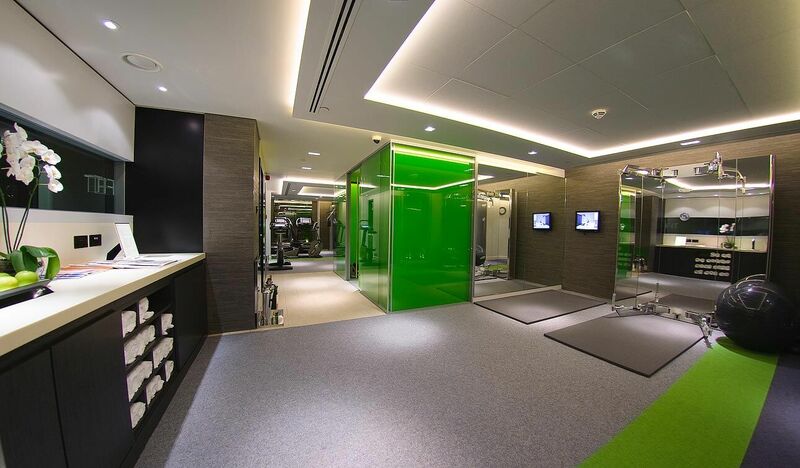 On approach, the So Fit Gym is identified by a black lacquered, panelled entrance portal with glazed slot vision screens and bespoke designed ‘SoFIT’ branding. A Limestone floor identifies the entrance threshold and a striped carpet design in lime green and greys marks out the fitness area. The overall aim of the design is to establish a fresh and vibrant day lit feel to an area which has no natural light. The neutral palette is offset with citrus green accent colours and full height vertical garden features set within glazed illuminated panelling. 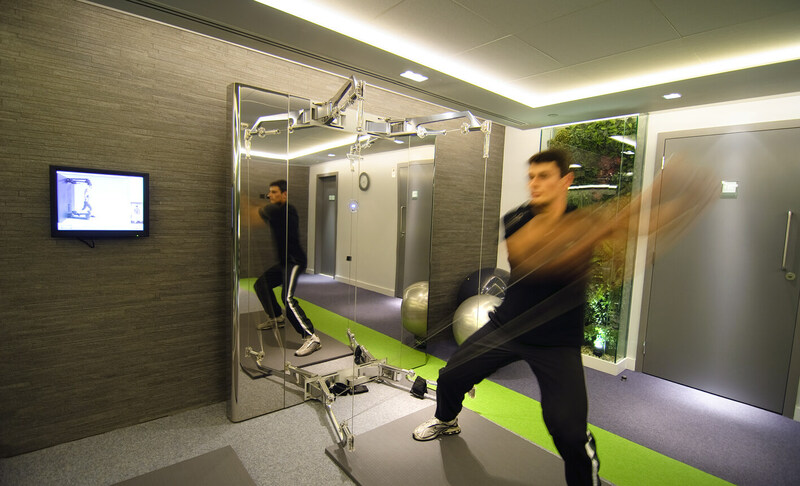 The So Fit gym is equipped with state of the art Technogym CV equipment including a special mirror version of Kinesis wall system (designed by Antonio Citterio). 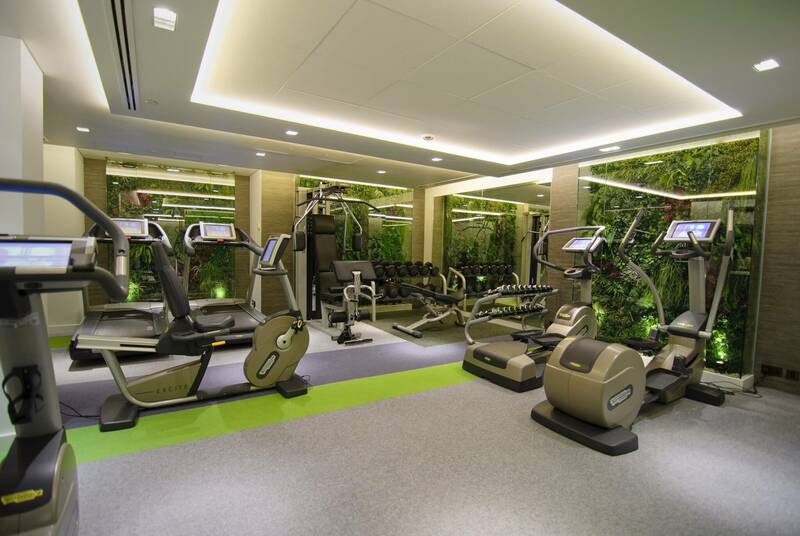 It has spacious stretch zones and has been designed very much with Personal training in mind. The central feature of the space is a Sha lounge incorporating an ‘Alphasphere’ deep-relax bed within a private acoustic glazed box lined with full length sheer curtains that form a circular pod. 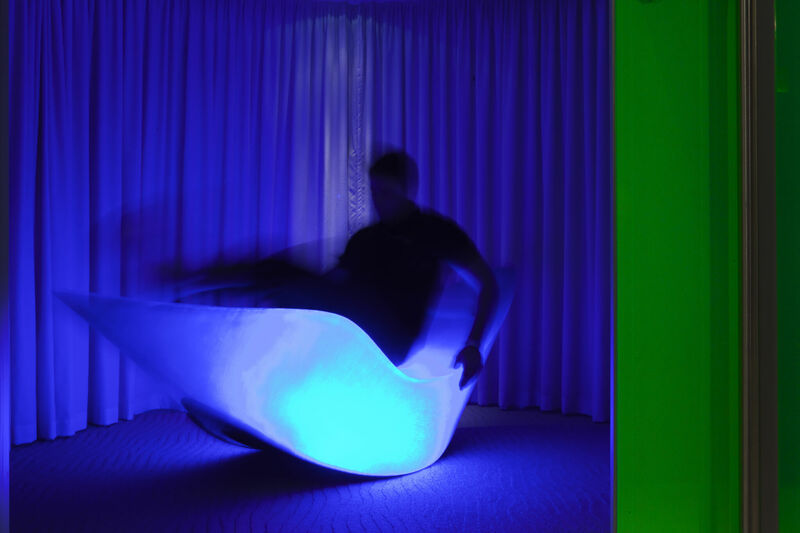 This experience is part of the Sofitel So Fit brand standard which is a multi-sensory relaxation experience utilising coloured lighting, heat, vibration and sound. 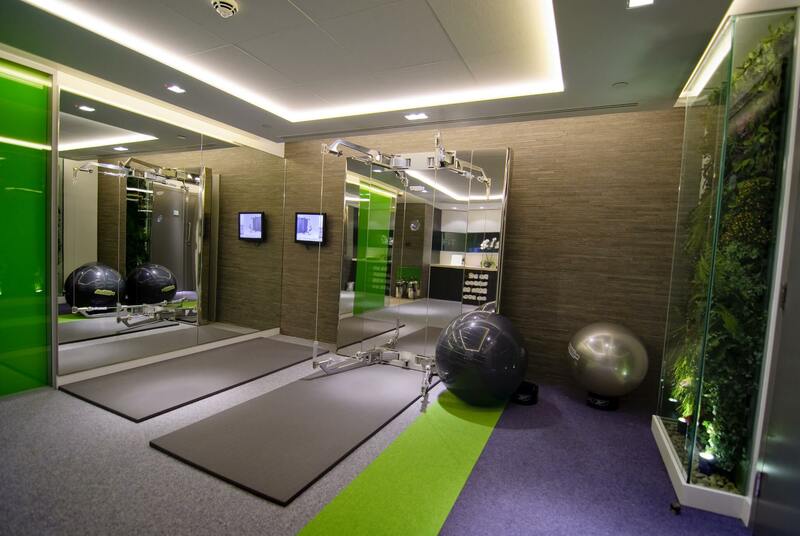 The So Fit facility also has dedicated dressing rooms, one with a steam shower designed by Pininfarina. 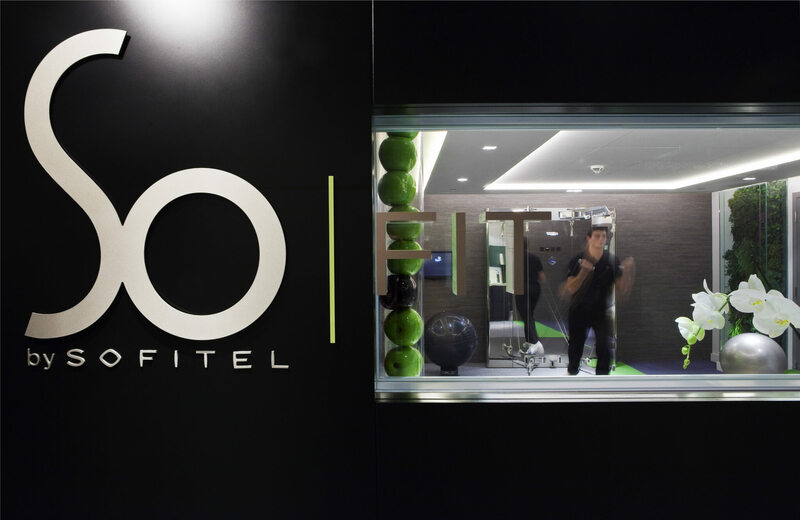 Multiple hotel chains have now started to accommodate fitness-oriented travellers - Sofitel foresaw this need with the creation of the So FIT fitness offer.